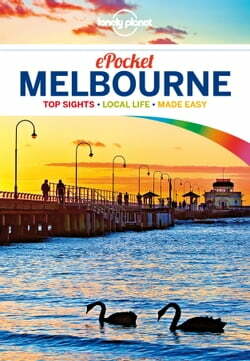 Lonely Planet Pocket Melbourneis your passport to the most relevant, up-to-date advice on what to see and skip, and what hidden discoveries await you. Explore the many laneways, have a drink in a riverside bar, shop for bargains at the Queen... read more Victoria Market or visit a world-class gallery; all with your trusted travel companion. Get to the heart of the absolute best of Melbourne and begin your journey now! Looking for a comprehensive guide that recommends both popular and offbeat experiences, and extensively covers all of Melbourne's neighbourhoods? Check out***Lonely Planet*** Melbourne &amp; Victoria.